Training & Seminars - Delta Sales Associates, Inc.
Technical Training Courses on coating thickness measurement and/or color measurement can be provided on-site or at our classroom facilities in Buffalo, NY. These seminars cover the theory, utilization, and practical application of your coating thickness or color measurement instrumentation. 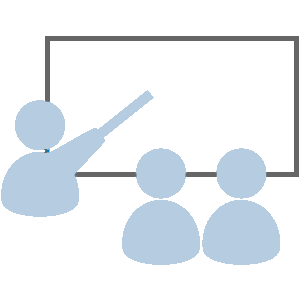 Training seminars can be customized to your specific measurement instrumentation, application(s) and requirements. Delta TRAC can provide step-by-step written procedural instructions to operators for specific applications on a particular instrument. We offer Operator Certification classes for all categories of coating and plating thickness measurement systems, including X-Ray fluorescence, beta-backscatter, Eddy-current, magnetic induction, and coulometric. These one to two day classes include an examination of course material and a Certificate of Course Completion. Training seminars are available for the understanding and utilization of analytical X-Ray Fluorescence systems for high-reliability applications, alloy analysis, and the scanning for restricted elements for compliance to the Directive 2002/95/EC/RoHS/WEEE/ELV. We also offer training for determining alloy concentration as utilized in the jewelry and precious metal industry. To inquire about any of the Technical Training Events, please contact our office, or click here to submit your questions. If you would like to inquire about an On-Site Training Session, please contact our office, or click here to submit your questions.